It’s estimated that almost 28 billion United Kingdom coins are in circulation, and if all those circulating coins were laid out side to side they would form a line 397,289 miles long; the distance it would take to travel around the world nearly 16 times. The New reverse designs competition began way back in August 2005. 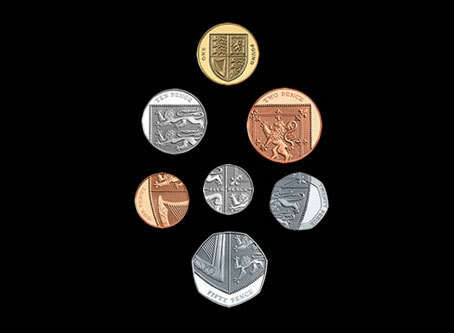 My idea for it was to have one image divided over the 6 coins of the penny to the fifty pence. This meant that each coin would feature part of the design and by arranging each coin in a certain way, would complete the design, much like a jigsaw. This participative aspect of the idea was intriguing; I could imagine the coins being played with, looked at and enjoyed in a way which was foreign to coinage, and could imagine their appeal for kids messing with them in school as much as for folks in a pub. 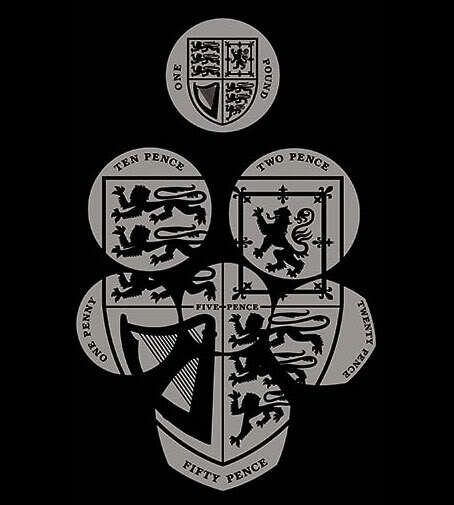 The image spreading over the 6 coins took heraldic form in the shape of the shield of the Royal Arms. 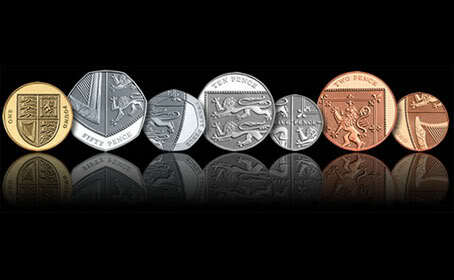 The pound coin was added to the set to depict, define and support the entire design, acting as the jigsaw box’s lid. 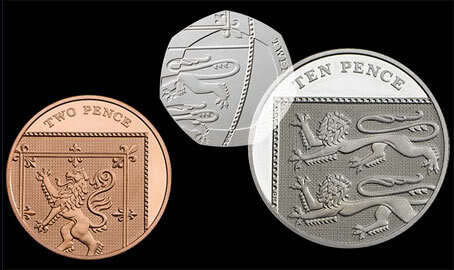 The idea was chosen by the Royal Mint’s Advisory Committee and approved by The Chancellor (then Mr Brown) and the Queen. The new designs should start finding their way into your pockets later this year depending on bank demand.